Hello! 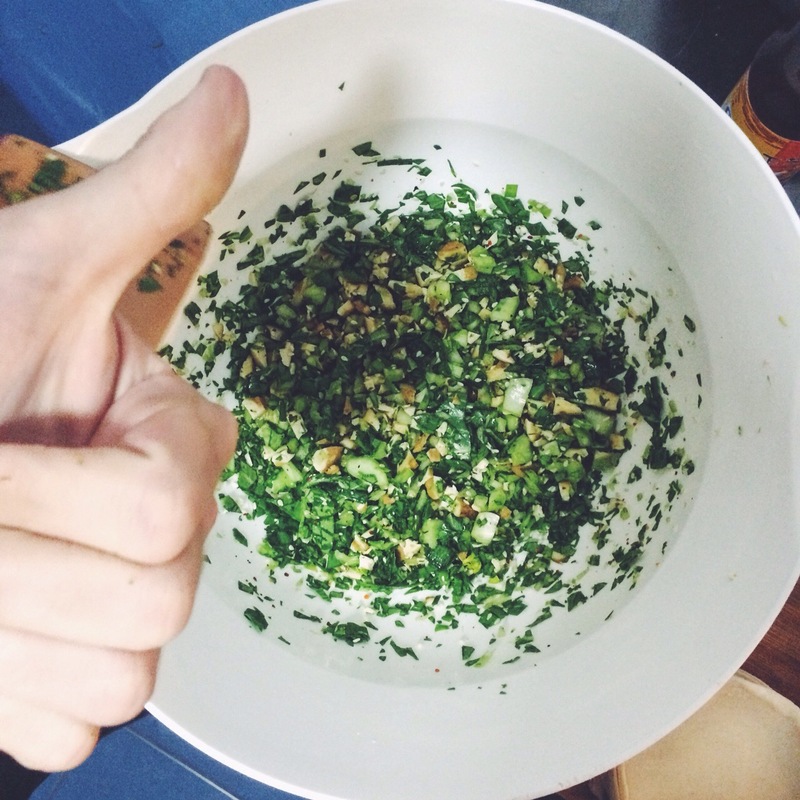 I’m back with a little update and a recipe. 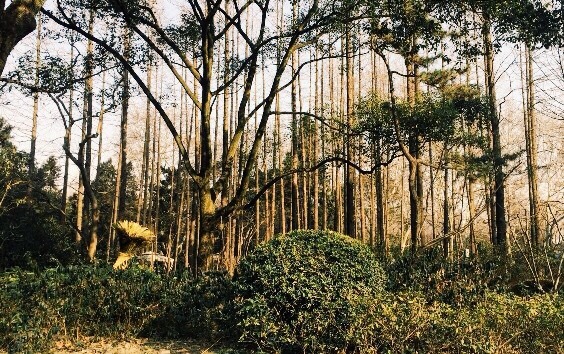 Still hanging out in our little apartment in Shanghai… We will have been here one month as of tomorrow!! Can’t believe it. The weather has improved TONS so I have come out of hibernation and have been spending my days wandering around and hanging out at my local park, thoroughly enjoying not having to wear thermal underwear under my jeans. I have also been taking a little break from eating out because all the fried food and oil has been giving me some ouchy gallstone problems. I guess I didn’t really realize how much junk I was eating; I was mostly concerned about the ever-important budget! And, well, I just can’t get enough noodles and they are so cheap…. and, to be honest, trying to find new places where there’s something I CAN eat is a bit of a hassle, so I tend to stick to the familiar when I just need lunch or whatever. But I can take a hint, body. So I’ve hit the kitchen again this week and am feeling much better already. I have gotten pretty good at navigating the grocery store here, if I do say so myself. It’s the Wild West in there. Think your local Kroger, but with dead chickens hanging around and some live fish, and small women screaming into the microphone about deals or whatever in the background. The first day I went in and thought, “Oh no. I can’t do this, this isn’t a zen experience at all.” But the next time I was mentally prepared, put some T Rex on in my headphones and elbowed the other shoppers right back fighting to get to the Bok choy. My staples have become some things I have found that are always cheap: eggplant, Bok choy, tofu, spring onion, lemons, ginger, bananas, tomatoes, oatmeal…. And some things I pay a lot for because I can’t live without them: instant coffee, apples, and the essential Weetabix fiber cereal from the import section. 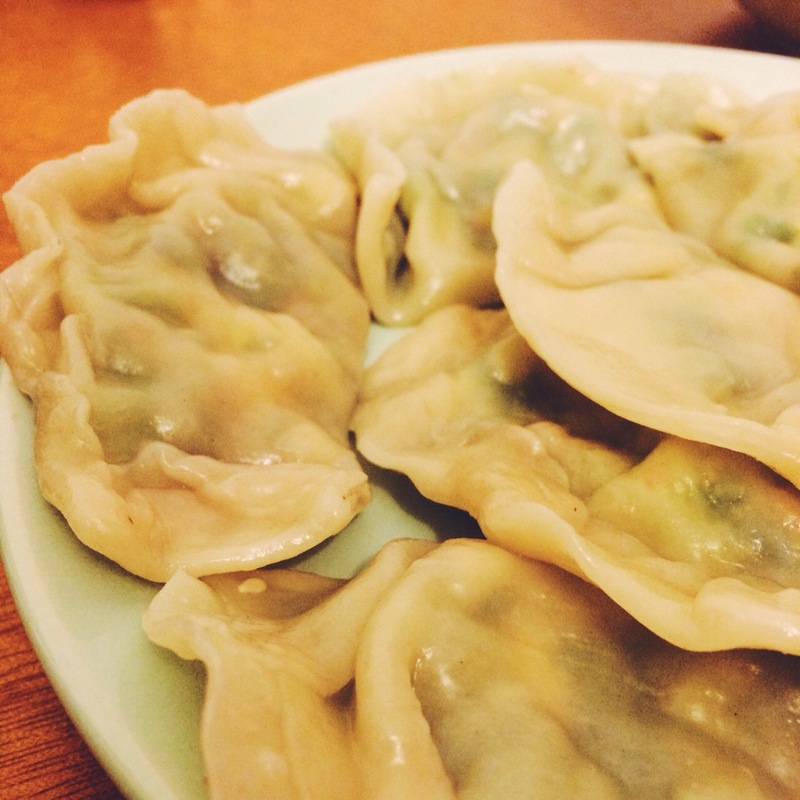 Get out your dumpling wrappers, and get ready to roll. Pour some water in a little bowl and place next to you, and put a bit of flour down on whatever surface you’re going to line up your rolled dumplings on, so they don’t stick to it. 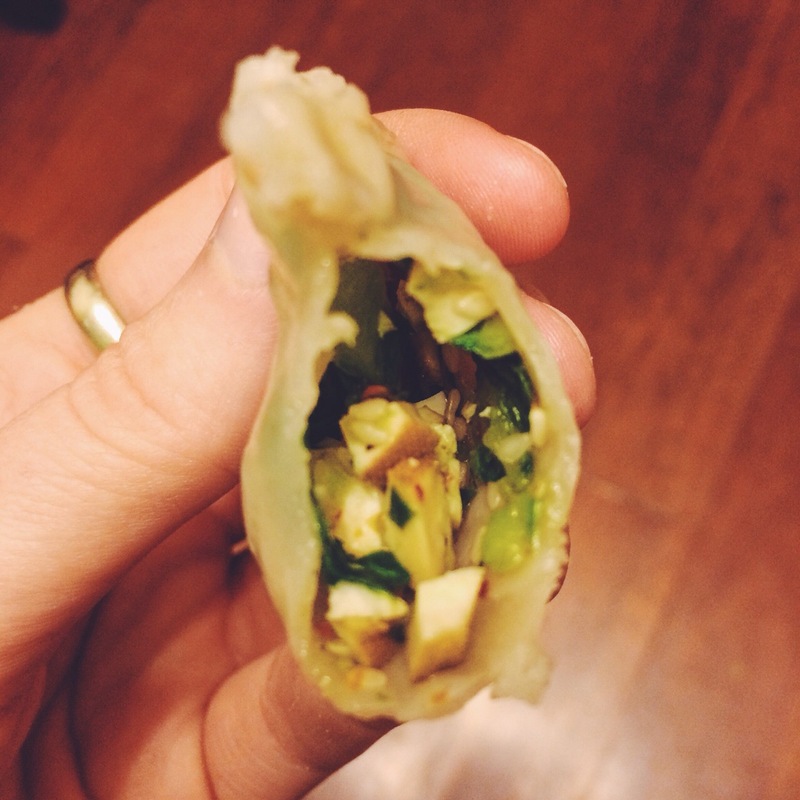 Place a dumpling wrapper in your left hand, and scoop a bit of filling into the middle. Pinch it together in the middle, and then create two little folds on both sides to seal it up. Put a little water on your fingers to seal it. I recommend putting some tunes on and getting comfy for this bit, because if you’re like me and not adept enough at this yet to make it quick, it could take a while. 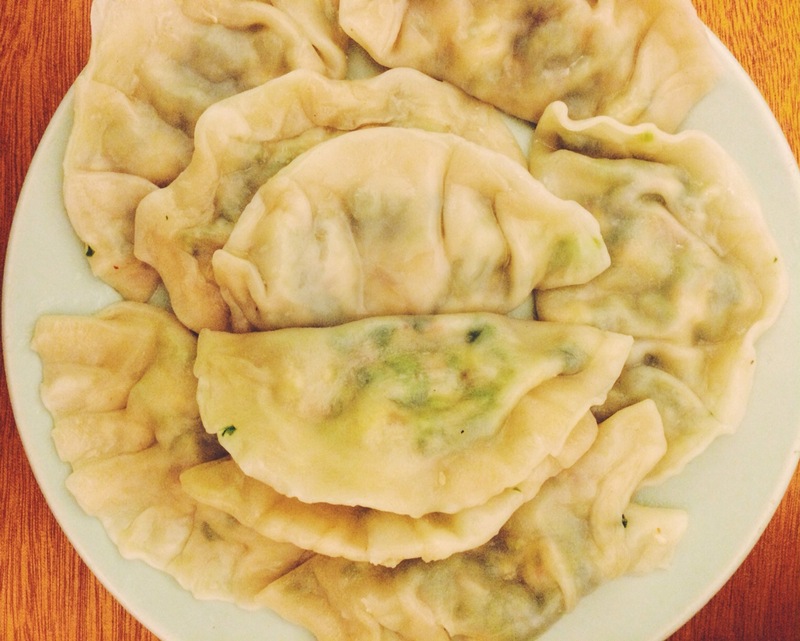 Make the rest of the dumplings, until you run out of papers or filling. We got to 32 before deciding it was more productive to just eat the last few spoonfuls of filling. Appetizers, you know. When you get to the last 10 or so, put on a pot of water to boil. Boil the dumplings in batches. They only take about 3-5 minutes, you can kind of tell when they are done because they float on their sides.